Is there such a thing as too many great cocktail bars? No, there isn’t. One in particular that should be on your radar is Mr. Goodbar. 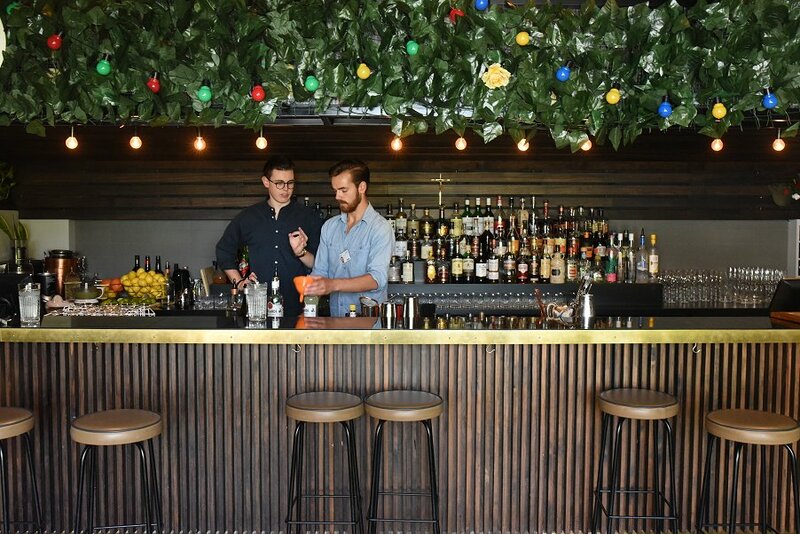 This soulful little dive opened back in 2016, and has become a favourite in Adelaide’s newly bustling East End since then. Mr. Goodbar slots effortlessly into one of the historic East End Produce Market dwellings, giving some old-school flair to the eastern laneways. The timeworn brick and moody lighting give off an Art Deco vibe that belongs in a New York Jazz Bar, circa 1920. Yet here it sits in little old Adelaide. 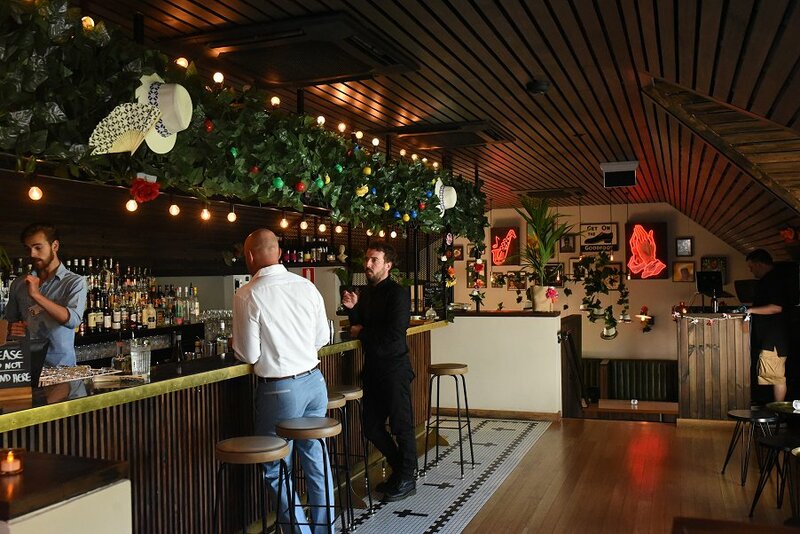 The old-world charm of Mr. Goodbar lends itself well to the bar’s latest pop-up venture. This past Saturday night we attended the launch of the bar’s new Fringe fiesta hangout, Club Cubano. The pop-up bar opened it’s doors on the venue’s 2nd birthday, and will serve as an excellent, and Cuban-themed, venue for pre and post Fringe show beverages. We’re more than happy to say hello to Havana nights as we soak up the last dregs of Adelaide’s warm weather. 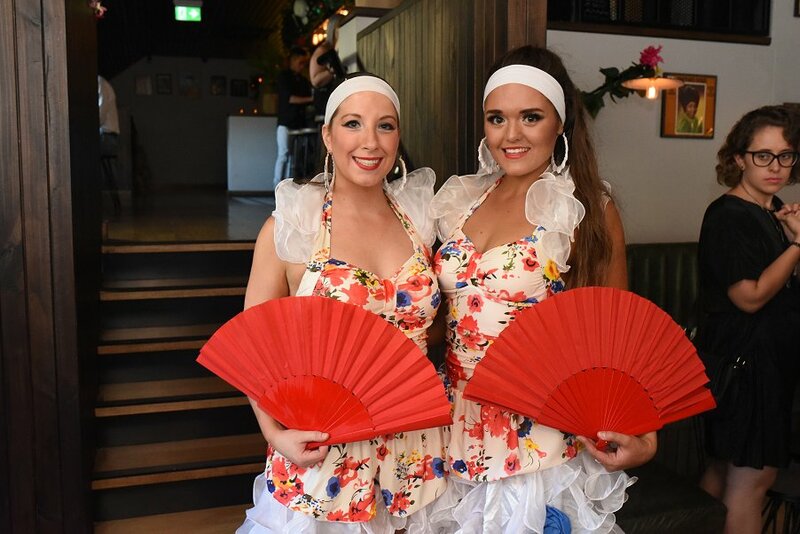 The special Cuban cocktails and South American-inspired tapas that we enjoyed at the launch give off some serious Caribbean Island vibes. And we’re not ones to say no to a tropical oasis in the middle of the CBD. 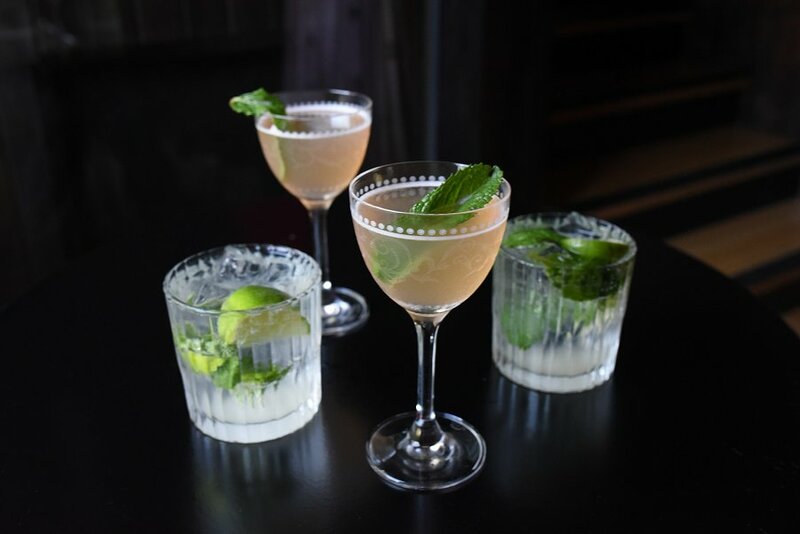 While the new Cuban-themed cocktails are a must try, the extensive drinks menu has something for everyone. The fruity Spritz and zesty Mojito whipped up by the expert bartenders will be perfect your next hot night out. And we’ll be returning at some stage to try the Beach Blanket Bingo, which combines spiced rum, Punt E Mes, passionfruit, lime, and pineapple shrub. Have you ever heard of a more I’m-on-an-island-holiday-in-the-Caribbean-esque drink in your life? For those into a slightly stiffer drink, there’s also a Living Barrel-Aged Lineage Cocktail on offer, which blends Buffalo Trace, Aperol, and Punt e Mus together and then ages it in freshly charred oak. In addition to cocktails, there’s a range of wine, beers, ciders, aperitifs, and stirred cocktails. No matter what your poison, Club Cubano and Mr. Goodbar have you covered. And luckily for all of Adelaide’s foodies, the bar snacks at Mr. Goodbar are beyond the usual salted peanuts. The small but curated food menu features cheese boards, charcuterie boards, and a trio of dips. Not only that, but there are four simple pizza options on offer. And by simple we mean house-made MGB sauce with roasted tomatoes, infused with a French fig jam and topped off with fresh Fior De Latte cheese. Are you drooling? Because we’re drooling. During Fringe season, Club Cubano will also become an official Fringe venue, hosting a mixology master class titled, “Mr. Goodbar’s Guide to Good Drinking”. 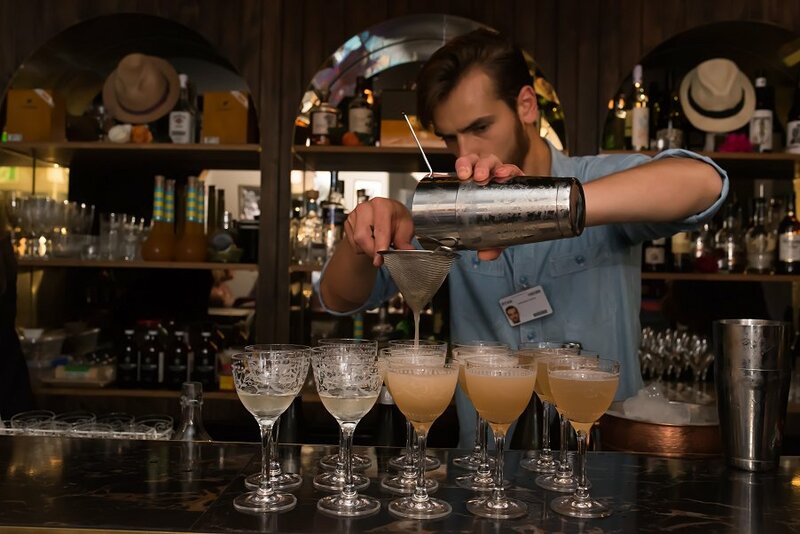 Festivalgoers can learn to shake, muddle and stir their way through five different cocktails, learning the subtle yet scientific art of cocktail making. Tucked away on Union Street, Mr Goodbar is just a hop, skip and a jump, from the much-loved Crown & Anchor Hotel. That means it’s right by the Garden of Unearthly Delights, so make sure that you stop by for a Negroni or two before or after your next Fringe show. Mr. Goodbar has sought to give SA a taste of Cuba’s balmy summer nights, colourful culture, and white sandy beaches. If the Cuban dancers and fedora décor from the launch are anything to go by, Fringe season in the East End is going to be quite a fiesta.